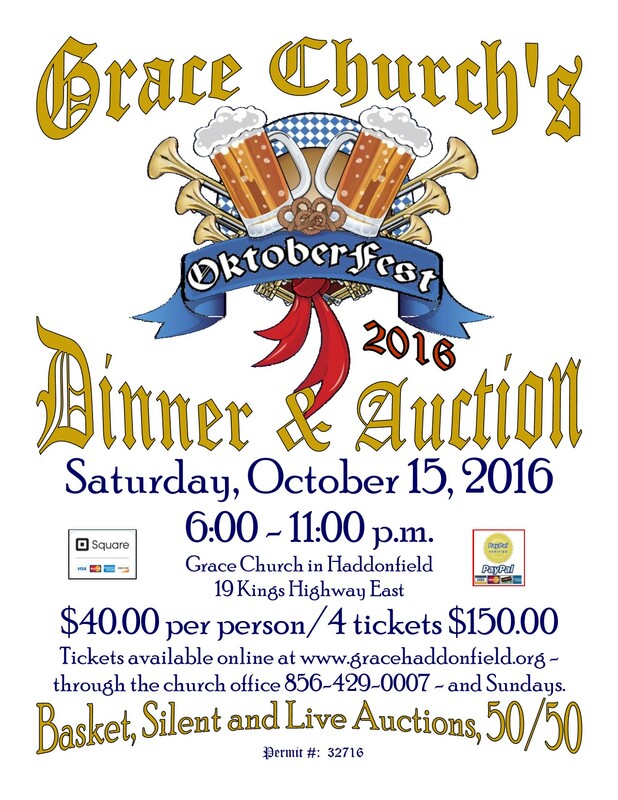 Dinner and Auction on Saturday, October 15, 2016 from 6 – 11 pm. Tickets are $40 per person or 4 for $150. The evening will feature basket, silent and live actions and 50/50.